Oldspeak: WOW. Understand, the technology to do this does exist, it’s not the first time it’s been used, and in the past the U.S. Defense Secretary has obliquely referred to its use by “others”. USGS data shows the epicenter of the quake was on solid ground, 100 miles from the nearest fault line. ‘HAARP was broadcasting the 2.5 Hz frequency (coincidentally, the signature frequency of an earthquake) from just before midnight on March 8, 2011 and continued to broadcast the frequency for the entire days of March 9, 2011 and March 10, 2011. The 2.5 Hz frequency continued to be broadcasted and recorded by the magnetometer for another 10 hours the day of the Japan 9.0 magnitude earthquake.’ At this point I don’t put anything past the U.S. Gov’t/Military, but my question is WHY?! This guy may be on to something. You may ask yourself, why would the military have the evidence out there for anyone to see? Well did you know what HAARP was before today? It’s hidden in plain sight, masquerading as an “atmospheric research project”. If you go to HAARP’s official website you can see for yourself that the 2.5 Hz ULF frequency wasn’t only being broadcated for 10 hours, it was constantly being broadcasted for 2 days prior to the earthquake. Broadcasting began on March 8, 2011, just before midnight as you can see on HAARP’s website page –http://maestro.haarp.alaska.edu/cgi-bin/scmag/disp-scmag.cgi?20110308. Click on the Next Day link to see that the earthquake inducing 2.5 Hz ULF frequency was being broadcasted for the entire days of March 9, 2011 and March 10, 2011. Even though the signature frequency of an earthquake was shown throughout March 9 and March 10 there were no constant earthquakes occurring off the east coast of Japan. The military vessel includes power plant, a bridge, control rooms, living quarters, storage areas and the infrastructure necessary to support the massive X-band radar. The SBX radar is the most sophisticated phased array, electro-mechanically steered X-band radar in the world – according to Boeing claims. The phased array antenna consists of thousands of antennas driven bytransmit/receive modules. 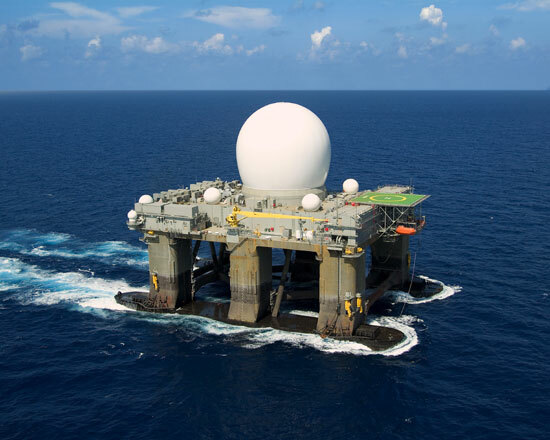 The radar is designed and built by Raytheon Integrated Defense Systems for Boeing, the prime contractor on the project for the United States Missile Defense Agency (MDA). Boeing, Raytheon and MDA exists – also not a conspiracy theory. A magnetometer can be used to predict as well as give evidence of a HAARP created earthquake. A magnetometer measures disturbances in the magnetic field in Earth’s upper atmosphere. It is not a seismometer which measure motions of the ground. The magnetometer doesn’t measure seismic activity it measures and records electromagnetic frequencies in the Earth’s atmosphere. HAARP’s phased array antennas beam radio wave frequencies into the atmosphere. A radio wave is essentially an electromagnetic frequency, as is solar radiation. The scientists at the HAARP institute found that a 2.5 Hz radio frequency is the signature frequency of an earthquake. HAARP beams that earthquake frequency into the ionosphere and the ionosphere reflects it back to Earth – penetrating as deeply as several kilometers into the ground, depending on the geological makeup and subsurface water conditions in a targeted area.. By beaming the frequency at a specific trajectory HAARP can trigger an earthquake any place on Earth. A short burst isn’t enough to disturb solid matter (the Earth crust) so they keep beaming the 2.5 Hz earthquake frequency for hours or days – until the desired effect is achieved. You will notice on the USGS website that the Japan earthquake didn’t occur on the Ring of Fire Fault line. The epicenter was some 100 km west of the fault. The earthquake epicenter occurred on solid ground.